Chelsea Self was born and raised in Tulsa, Oklahoma. After graduating Tulsa Community College with an associates degree in Business Administration she moved to Glenwood Springs, Colorado in 2012. 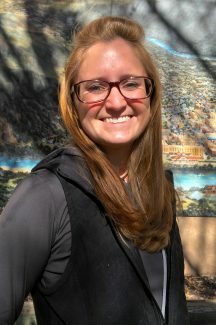 From there, Chelsea attended Colorado Mountain College Spring Valley campus and completed the Professional Photography program in 2014 where she graduated with a portfolio focused on photojournalism in the hopes of becoming a staff photographer for a newspaper. Chelsea worked as a freelance photographer for a year before becoming the staff photographer for the Post Independent in 2015. On the weekends, Chelsea typically spends her time exploring new places or hiking the trails with her four legged friend Kiva.